Fujifilm has expanded its X Series lineup in India today with the launch of its X-T30 mirrorless camera. Fujifilm X-T30 APS-C mirrorless camera is the latest in the company’s global lineup too and has finally made its way in Indian market. Fujifilm X-T30 mirrorless camera is priced at Rs 74,999 for the body only, however, customers can also opt to buy the entire kit as well. While the bundle with 18-55mm lens bears a price tag of Rs 94,999, the 18-135mm lens bundle will cost Rs 99,999. At this price, the newly-launched mirrorless camera from Fujifilm competes directly with the likes of Sony A6400 mirrorless camera, which was also launched recently in the Indian market. 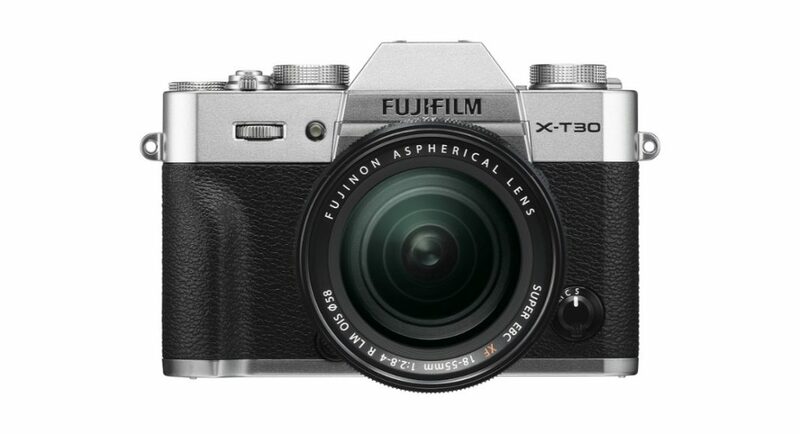 Fujifilm X-T30 mirrorless camera is the successor of the company’s X-T20 and comes with a 26.1-megapixel APS-C sensor coupled with X-Processor 4 quad-core CPU that focusses in image processing. Among other features of the X-T30 mirrorless camera is its hybrid AF system that comes with 425 phase detection autofocus (PDAF) points and covers the entire frame, EyeAP and an option of Face Selection. In addition to this, the camera also packs 2.36 million dot resolution OLED EVF and features a 3-inch tilting touchscreen display. The camera supports 4K recording of up to 30fps and 1080p recoding up to 120fps. A single SD card can be added to the camera and users will also be able to connect it to Wi-Fi or Bluetooth. Fujifilm X-T30 mirrorless camera weighs 383 grams and comes with a focus lever and a redesigned grid shape which is supposed to give better stability to the device. The company has said that the camera comes with ‘Film Simulation Modes’ which can prove to be useful when shooting for stills and videos. For richer colour grading, the mirrorless camera comes with Fujifilm’s ‘ETERNA’ simulation mode.